Specifically designed to quickly remove the floating smoke and odors from cigarettes, cigars, other tobacco products for smoking and marijuana! The Airpura T600 air purifier is ozone free and specifically designed to quickly remove the floating smoke and odors from cigarettes, cigars, other tobacco products for smoking and marijuana! Second hand tobacco smoke alone contains over a whopping 4000 harmful toxic chemicals and gasses that include formaldehyde, benzene and toluene that has long been proven to cause many diseases that include different kinds of cancer, emphysema, COPD and other debilitating respiratory problems and immune system dysfunctions. Many experts say that breathing second hand smoke floating in the indoor air environment is worse then direct cigarette and cigar smoking itself. 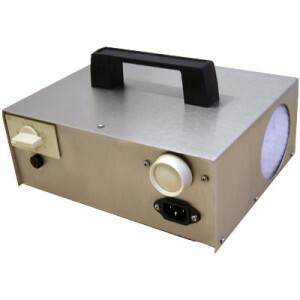 The Airpura T600 does a noticeable job of removing smoke and odors in open areas just over 1000 square feet in size to protect the people that live and work with smokers and it actually protects the smoker from breathing their own second hand smoke also called (ETS) or environmental tobacco smoke. Please Note: The smaller the room, the higher the air exchange rate per hour will be for better smoke and odor removal performance! For example if this air purifier is used in a break room or smoking area approximately 200 square feet in size this air purifier can quickly clean the air of smoke and odors up to 13 times per hour. The Airpura T600 air purifier boasts a hefty 26 pound high quality activated carbon filter that is targeted and used to adsorb the 4000 different harmful & dangerous carcinogenic chemicals and gasses found in the air we breathe and in both first and second hand tobacco smoke. 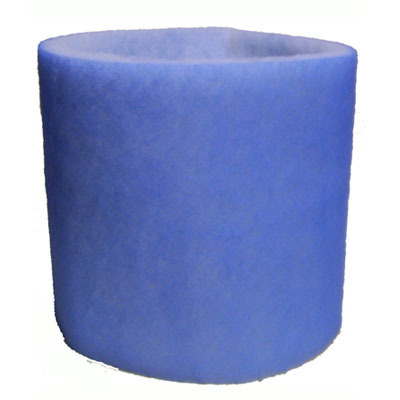 This carbon filter should be replaced every 2 years or sooner depending on the volume of smoke being produced and how often smoking is taking place. 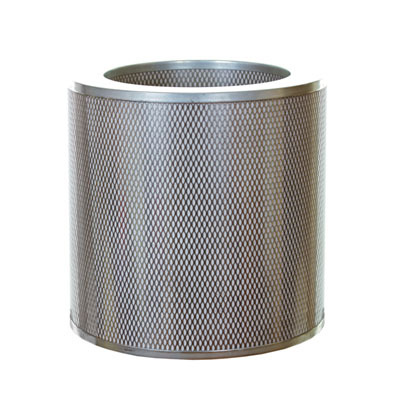 This filter traps any carbon dust from the 26 pound carbon filter and any residual free flowing smoke particles going through the air purifier. 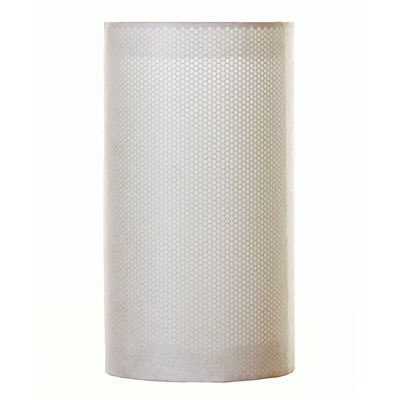 This HEPA-Barrier post filter should be replaced at the same time with the carbon filter which is once every 2 years or sooner depending on the amount of smoking being done in the same room of the air purifier. 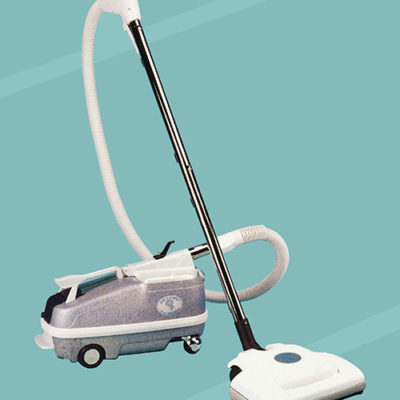 The quiet variable speed blower motor allows the operator to adjust the speed of the blower motor to regulate the air flow rate and level of desired air filtration in the room or open area being cleaned. The sound decibel level of this air purifier is 28.1 on its lowest speed and 62.3 when its turned up to high speed. The air flow rate of the Airpura T600 HEPA air purifier will produce 560 CFM (Cubic Feet Per Minute) with the filters and carbon filter not installed into the unit and between 420-440 CFM with the HEPA filter, pre-filter and carbon filter installed as it normally will be when operating this unit. NOTE: This 420-440 CFM rating is close to twice the CFM compared to other high quality HEPA filtered air purifiers on the market! Please note that all portable HEPA air purifiers are for use in one single room at one time. 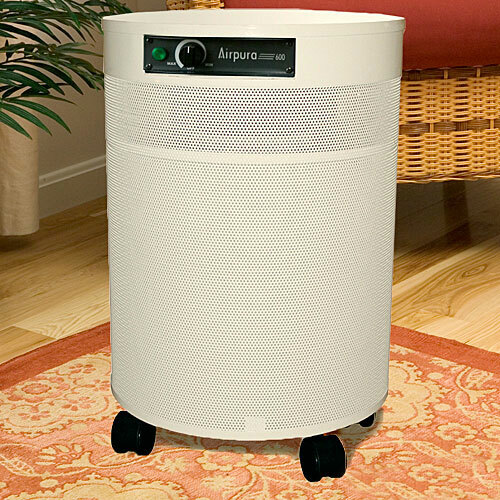 If you can keep the smoking contained into 1 room or area one single Airpura T600 air purifier will do a great job! Remember, the smaller the room the higher the air exchange rate per hour will be and this will produce better performance for the air purifier to remove the smoke and odors. However if smoking is being done in other rooms of the home or office area, another T600 HEPA air purifier should be placed into each active smoking room or area as well. This air purifier is made to operate non-stop 24 hours per day, all year long and it really does a wonderful job of removing cigarette smoke, cigar smoke and marijuana smoke and odors. Yearly electrical costs are about $35.00 per year running this unit all the time. IMPORTANT NOTE: The Airpura T600 air purifier for removing smoke and odors is also 100 percent ozone free which is very good for people that are sensitive to more then totally natural levels of ozone in the air. 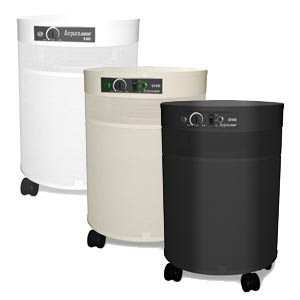 However if you are searching for the other type of air purifier called an ozone ionizer air purifier that also does a very good job of quickly removing both smoke and odors from the indoor air environment in areas up to 3000 square feet, check out the AP-3000 air purifier also in this website! Case Housing & Wheels: Powder coated for color with steel construction for no chemical out-gassing. The case housing is mounted on 4 easy to push caster wheels. Color Choices: White, black and cream color which is a (light beige) and the most popular color because it best matches most wood furniture.